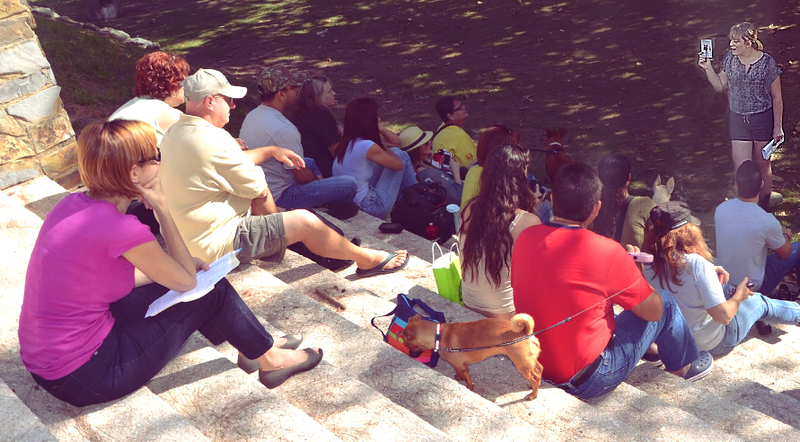 Public outreach and education are the keys to long-term change for animals in Puerto Rico. The Sato Project is engaged in a variety of efforts to foster this kind of change, and has plans to do much more in the coming years as we expand our efforts and secure funds dedicated for community programs and outreach. The Sato Project believes true change in Puerto Rico will come from educating its youth. We are actively involved in education outreach to high school students in the Yabucoa municipality where we work. For example, Ivette Fernandez, The Sato Project’s beach coordinator, teaches high school English, and her annual curriculum includes teaching her students about humane animal treatment, ownership, and responsibility. Her efforts are having an impact. Most significantly, one of Ivette’s former students, Juan Sanchez Baez, is now a regular volunteer with The Sato Project, playing a critical role in our daily operations. Ivette also runs a 'Sato Project club' in her school that educates about humane pet ownership and offers an up close and personal view of our work by field trips and volunteering opportunities. The Sato Project has received formal recognition from the Mayor Rafael Surillo’s office as the official rescue group in the Yabucoa municipality. There are now signs at Dead Dog Beach proclaiming this endorsement, and reminding people that the dogs at the beach belong to our program, and that animal abandonment is a crime punishable by law. The Sato Project regularly attends events in Puerto Rico, and has distributed many hundreds of flyers about our work and about the problem of abused and abandoned animals on the island. In March 2016 we launched an aggressive community Spay/Neuter/Vaccine and microchip campaign in the Yabucoa municipality in Puerto Rico. The goal of this effort is to educate the local population about responsible pet ownership and to provide low cost affordable veterinary resources by way of a monthly mobile clinic and a voucher program. Residents of Yabucoa can have their dogs spayed or neutered, vaccinated and microchipped for $35 under this program. Through many high-profile media pieces, including major coverage by the New York Times, NPR, CBS, Animal Planet, El Nuevo Día, and more (link to our press page), The Sato Project is raising awareness for the plight of abandoned and abused animals in Puerto Rico. By drawing the public’s attention to this crisis, we aim to change policies and perceptions. We dream of a day when there is adequate funding and political will to address the crisis across the island, to see the sato revered as a Puerto Rican Treasure, much in the way the Chihuahua is now a symbol of Mexico.